Little kids are so smart because they ask "why?" all the livelong day. Why do I have to go to bed? Why aren't pancake's square? Why can't I poop outside like dogs? Why do I have to eat vegetables? Why can't I have candy? Why won't you buy me that? Why do I have to go to school? And then we grow up. BAM. Just like that.You are somebodies "it goes by so fast." And we stop asking why so much. Partly because we learn more and are able to navigate the whys all on our own. Partly because - well- Google. And partly because our curiosity levels decrease as we become grown ups. Curiosity is not rewarded as much as knowing is. So there lies so many whys left uncovered in our world. Important, clueful whys. Why can't I lose weight? Why is my marriage so hard? Why don't I know what to do with my child's (health, schooling, life situation, behavior)? Why am I so sad? Why do I feel stuck? Why am I depressed? Why don't I feel like enough? But they lie there uncovered, and we are left feeling the resulting pang of uncovered whys. It feels like emptiness, fear, pain, anger, panic, anxiety. Whys hate to be ignored. They get louder and make us feel even more uneasy in the hopes of being heard. Whys refuse to accept, I don't know. We work to control more- a natural response to fear and anxiety. Dr. Barry Prizant, PhD, is the author of the book, Uniquely Human: A Different Way of Seeing Autism. He is an SLP, a tenured professor, an advisor and consultant, and now runs his own private practice in Rhode Island. Prizant has spent four decades in the trenches collecting stories and discovering his own unique perspective on autism. A perspective that I found to be in line with how we do autism at our house. Uniquely Human dives into what it means to truly understand autism. The author highlights the importance of asking why, the value in listening with intention, and how enthusiasms (what most professionals called "obsessions") and interests can build connections. His approach works to understand an individual first, and instead of simply working to eliminate, redirect or ignore behaviors, instead works to understand the individuals experience and what underlies the behavior. 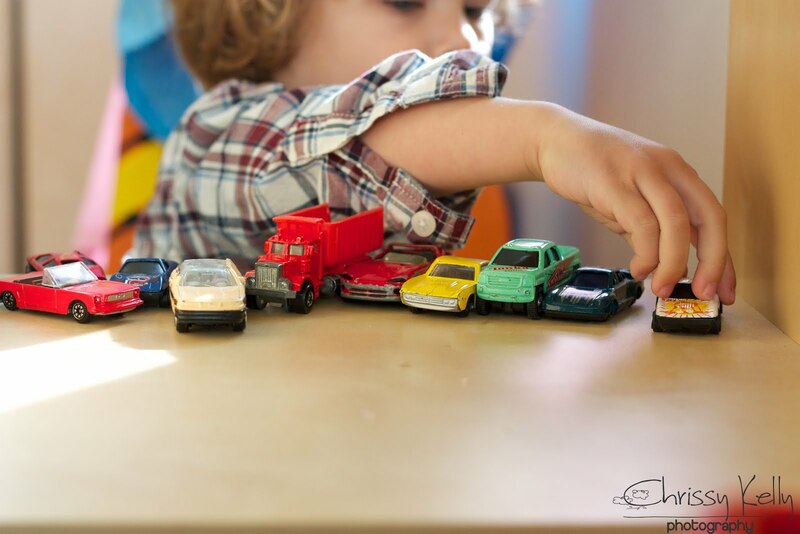 For the first year of therapy with Greyson, I stayed away from toy cars. One day I gathered up all the hot wheels we had, and I threw them out. He was fascinated by them, their wheels and lining them up. That scared me. I think there was a part of me that thought if I could stop these behaviors, I could stop his autism. I especially thought I would be doing him a favor if I stopped the things he did that made him look like he had autism. That wasn't a message I wanted broad casted. And those damn cars always lead to tantrums or outbursts anyway. If I moved them by mistake, if his brother tried to grab one, if we needed to leave the house and he couldn't bring 100 with him- there was hell to pay. After time, perspective and insight as well as finally listening to what my gut was saying, we brought cars back into our life. Why take away something that he loved? Something that brought him such comfort and peace. It didn't feel right. The stress they brought if something wasn't just so, wasn't right either though- and I finally realized we didn't have to eliminate them- but we could work to eliminate the associated stress that sometimes came with them. And now we even use them to help him learn. It's unlocked so much and helped us teach closer in line with the way he learns, using what he likes to learn about. I've also realized he lines cars up to calm himself. Much like I may take a walk or eat cookies. I don't want someone telling me not to eat cookies to calm myself. That's just mean. So I don't tell him not to line up cars. Over time I have learned to ask more whys. Prizant says, "...caregivers neglect to ask Why? They don't listen carefully or observe closely. Instead of seeking to understand the child's perspective and experience, they simply try to manage the behavior." What's more helpful is to dig deeper: to ask what is motivating these behaviors, what is underlying these patterns. It's more appropriate and more effective to ask, "Why?" Why is she rocking? Why does he line up his cars that way, and why only when he arrives home from school? Why does he stare at his hands fluttering in front of his eyes, and always during English class and recess? Why does she repeat certain phrases when she is upset?" After using this type of thinking with both Greyson and Parker, I began to realize something astounding- there really is always a reason to the why. Some of these reasons had always been obvious to me. If I took away his ipad, he would lie on the ground screaming. That why was obvious- he was mad because he wanted to play. And feeling disappointment when you have to stop your favorite thing is quite typical behavior for all of us. Stimming - is Self-stimulatory behavior. It is the repetition of physical movements, sounds, or repetitive movement of objects, prevalent in people with autism. Us typical folks also "stim" when we do things like pace back and forth, chew on a pencil, or tap our leg. For some reason those are socially acceptable and the autism ones aren't. I began to notice there were patterns to Greyson's stimming. He has certain stims for certain things. I noticed every time he would push himself into our couch cushions- it was after a long day of school, and then 3 hours of Behavior Therapy. He would push as hard as he could and burrow deep- while yelling out sounds of frustration. But you could tell it wasn't enough, and sometimes he seemed to be bouncing off the walls the rest of the evening. It's easy to ignore this, or just let him "work it out". But that wasn't helping whatever got him to that level in the first place. I began to realize when he took frequent sensory breaks during therapy (like jumping on the trampoline, getting tight squeezes, or more frequently burrowed under the cushions), he could focus more and didn't seem to come so undone afterwards. If we got ahead of that point of no return, he won't be so dysregulated afterwards. I noticed that when he swam for just 30 minutes before a Behavior Therapy session he didn't need the couch cushions at all. He didn't scream as much during therapy, and his data during Behavior Therapy went up (more successful trials in whatever tasks he was working on). So now Greyson gets sensory breaks every hour to eliminate this dysregulation. I had no problem with him pushing into the couch cushions, but it made more sense to figure out the why so he didn't have to get to the point of being uncomfortable. "It's easy to dismiss flapping or rocking or dancing as just so much autistic behavior. But parents raising children with autism, and the professionals who work with them, need to take an extra step. Like detectives, we need to examine and consider all available clues and work to discern what is underlying or triggering a particular reaction. What is making the child dysregulated? Is it internal or external? Is it visible? Is it in the sensory realm? Is it pain, or physical discomfort, or a traumatic memory? In most cases the child can't explain the behavior in words, so it's up to those close to him to sort through the clues." Most behaviors are are just strategies people with autism use to feel better regulated emotionally. And they aren't all indications of something bad. 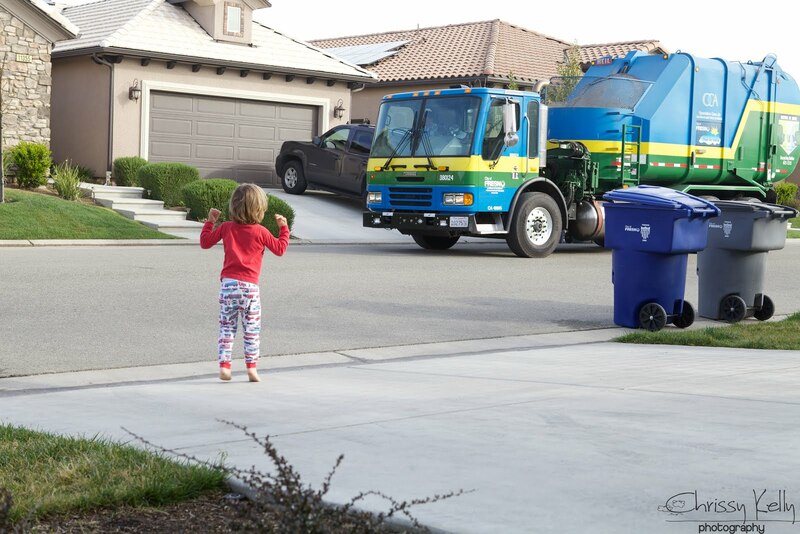 Whenever Grey sees big trucks, and many other things with wheels on the road, he jumps up and down and flaps. I know what causes it. I know the purpose it serves- it's his version of saying, "THAT IS AMAZING!" which is pretty appropriate. I don't redirect that behavior because it's not covering up a need of his, it's simply his way of communicating and feeling excitement. If he would stand up and flap all day at school and therefore couldn't do his work, I would stop that because it's stopping him from learning. But there were other things that I uncovered over time. Sometimes Grey simply needed more information than I was giving him- and he was frustrated because he couldn't ask. Once I was observing Greyson in his classroom. When it was time for recess, we excited the room and began walking to an indoor playroom filled with a swing, a trampoline, and other gross motor toys and activities. It had rained the evening before and the playground was too wet. Greyson started screaming. I was a little surprised because he loves the gross motor room, but I also understand that change in predictable routine is upsetting for him. Change in routine is upsetting for me too, but what makes me feel better, is knowing what's going on. Sometimes I need people to explain things out of my control to me. Instead of redirecting his outburst, I said, "Greyson, the playground is wet. Today you will play in here. Tomorrow you will be back on the playground." Instantly the screams stopped, and he walked calmly into the gross motor room. As far as he knew he was never going to be able to go outside for recess again, until I let him know. He just wanted to know why there was a change, and needed to be reassured that life would be back to normal. That was a big a-ha moment for me. I need to be explaining much more, all the time. I need to behave as if he is a typical child and able to ask why throughout his day. I need to answer his unspoken whys? Parker displays echolalia, the repetition of spoken language, repeated either immediately or some time later. Echolalia has often been considered an undesirable behavior of autism. Prizant believed that it was far more complex than meaningless parroting, and he believed this way of speaking served a purpose, including emotional regulation so he studied it in the context of the children's every day settings. He found that most forms of echoing served a purpose. Sometimes repeating certain words was calming. Sometimes they were taking turns in conversation. He says now that he listens and asks why it becomes clear that the child is communicating with intent. I began to pay attention to Parker's echos. Shhhh shhhhh it's ok baby, Parker says every time he gets hurt and is crying. He's imitating me- and what I always say to him. He doesn't have he capacity to say, "Momma, I am hurt. Can you kiss my knee?" But he can repeat words that comfort him. And on my birthday- it was the craziest thing-All day he said, "Happy Birthday Olivia", repeating the words to a video we recorded for our friend Olivia months prior. He watches that video frequently, and it was no coincidence that he said it throughout the day on my actual birthday. Many of his echos are from videos he watches of himself, and he repeats them because it's fun to him. You can tell though, that many of them are also serving a purpose, or used because they remind him of a feeling or memory he is feeling that he also felt when in the past. That's his way of communicating in the capacity he is able to. Human behavior is fascinating. Human behavior for people with Super Powers is even more fascinating to me. I'm slowly uncovering many the complex and beautiful layers of my boys brain. Autism can be quite confusing. Here's a visual I made to make it just a tiny bit more straightforward. This graphic is not all encompassing. 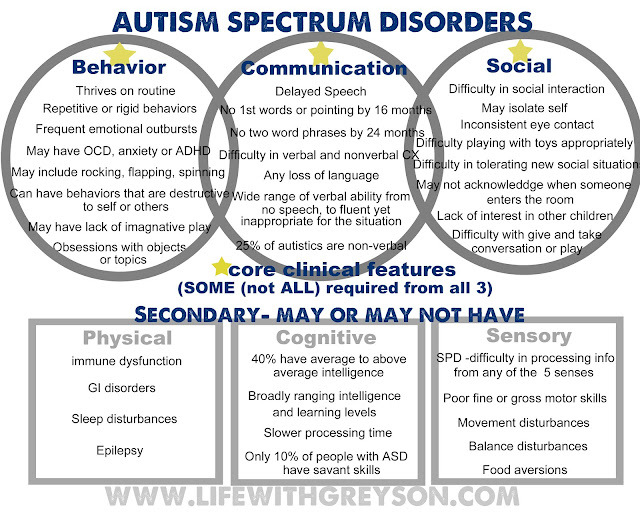 To get an autism diagnosis you just need to have some (NOT ALL) dysfunction in all three core clinical features. Now when I'm with the boys, I try and come from the place of understanding that every behavior has a reason. I try and remember that screaming, yelling, babble, and echoing would not be their primary language choice had they been given one. Uncovering that reason helps me remain more calm, and helps me help my boys instead of simply eliminating an unwanted behavior. I find when I understand the why, I can appropriately give them alternative ways of expressing themselves. Understanding that every behavior has a reason, has also helped me understand me. It's helped me realize that my behavior also indicates how I am feeling. I'm learning to ask why to the things that are begging for attention, and when appropriate changing my feelings or my behavior. If I expect it from my boys, I must be willing to do it too. Thank you for your blog. I am a teaching assistant for an autistic boy who I love dearly. Your blog helps me love and work with him more effectively! Thank you. Just thank you. This was so enlightening and educational. I have no direct contact with autistic adults or children, but I appreciate the insights gained here to open my eyes and my heart for when/if that ever does happen. And I love to witness your great love for your boys -- a love that is both emotional and intellectual, fierce and gentle, velvet and steel. Brillant! we all need to ask WHY. Excellent information here. Thank you for taking the time to write it all out and share. Really. Thank you for a very important blogpost. It underscores the need to have highly qualified therapists and teachers in the schools, as well as the need to have parent training in the home. Our daughter fought very hard to get what Sam needed out of the public school system. Now, in kindergarten, he has access to qualified special education teachers with training in autism, a BCBA who oversees his para (who is on her way to getting a BCBA), and other professionals with experience in autism. The school also provides parent training twice a month at home. In addition there is a sensory gym that parents lobbied to have installed. Sam is allowed to take breaks there as needed. It helps him to concentrate. When his BCBA does an FBA (functional behavior analysis), it takes into account the "reasons" for a behavior. If the behavior serves a function, and it doesn't interfere with learning, they let it be. If it does interfere, they replace the behavior with something more acceptable that will serve the same purpose. I believe Dr. Prizant is in step with most current thinking on ASD approaches. The ABA purists have become more flexible, taking into account everything you mentioned. 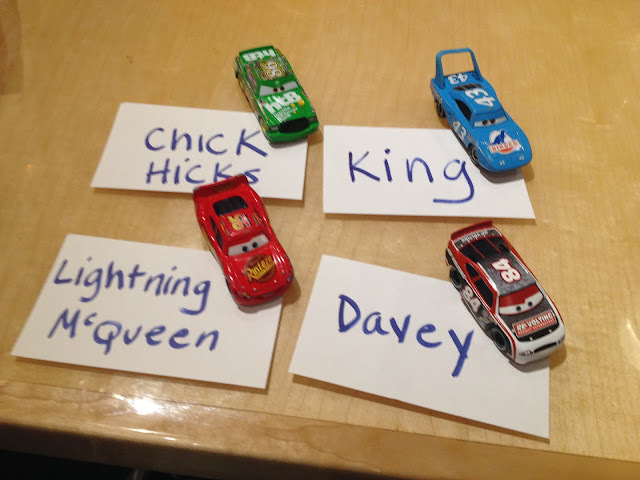 The Early Start Denver Model with its basis in ABA, and its consideration of a child's interests, has recently gained a level of legitimacy through research on its methodology. Our early intervention therapists used a combination of Floortime, ESDM and ABA. We saw good results. Thanks again for this informative and important blogpost! It is comforting for parents to know that a child's behavior has meaning. Wow wow wow. Sam's school sounds like a dream come true. It's my hope that one day more schools, including ours - will look like that. Thank you for sharing. This was excellent. Such great insights to apply to our kids and ourselves. What great insights in this post. I needed to hear all this. Thank you! !